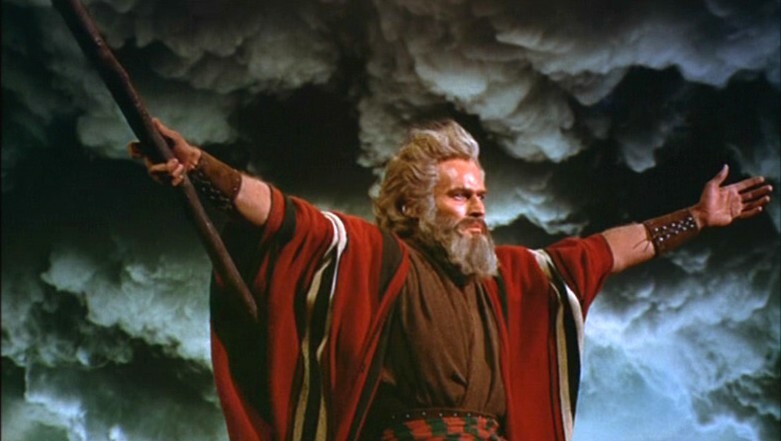 For gamers, the current months are something akin to Moses and the Israelites after their liberation from Egypt. It's slim pickings out there. Other than the fourth Borderlands add-on downloadable content in June, there's not much coming down the pike until Grand Theft Auto V in September. It's usually the time of year most of us either pull out the best games of the last year for another playthrough, or go find something to do outside. Much like the Hebrews, I was wandering the desert (also known as Best Buy) last weekend looking for manna from heaven. Then I saw XCOM. My cousin had loaned me the game several weeks ago with a highly positive recommendation, but it's been a while since I played a real-time strategy and tactics type game. I'm used to squad games that use a turn-based combat system, but most of the ones I've played are Japanese. Ever since he gave me the disc, it had just been sitting on my shelf. I hadn't heard of it and the back cover copy didn't really grab me. However, I already had it so I thought I'd do some research to see if it was any good. To my shock and excitement, the only game this year with a higher rating on Metacritic.com was Bioshock Infinite. XCOM was rated a 90 while Bioshock got a 93. XCOM came out last October, but it was clearly the best option I had for playing a quality game right now. It was that or play the new Star Trek game, and it's getting absolutely demolished by critics. So far, I have to say I made the right choice. The Earth is under alien attack. A truly original concept in gaming, I know, but the approach to the traditional theme is different than any I've seen. The game is a re-make of a 1994 Amiga game that was later converted to the original Playstation. I missed the first one, but this version is awfully fun. 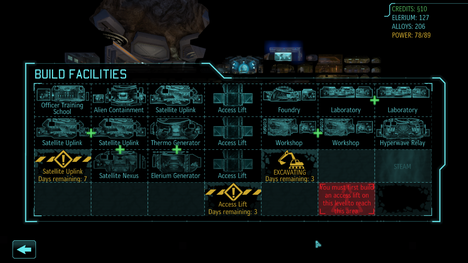 You are in charge of XCOM, the Extraterrestrial Combat Unit. They are responsible for the protection of Earth from an increasing number of alien abductions and direct attacks. As you can see above, all the continents and many of the largest countries on the planet are counting on you. Fail to adequately protect them and they will leave your fragile alliance, preferring to be responsible for their own defense. 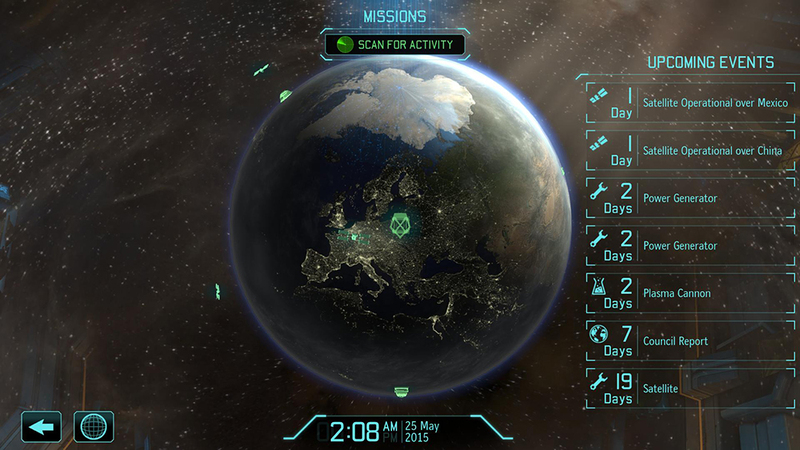 In order to learn about alien attacks, you must scan the planet looking for activity. You begin the game with one satellite. As you progress, you build and deploy more satellites over different countries. They are used to catch incoming alien ships before they get to the planet's surface. If an incoming ship is identified, you can scramble Interceptors to take them down. If you are able to destroy the alien warship, you then send your squad of soldiers to the crash site to wipe out any survivors and recover alien technology that survived the impact. A large part of the game involves your team of researchers and scientists. The researchers take alien technology your squad recovered from alien abduction attempts or crashed UFOs and use it to upgrade your own weaponry and technology. 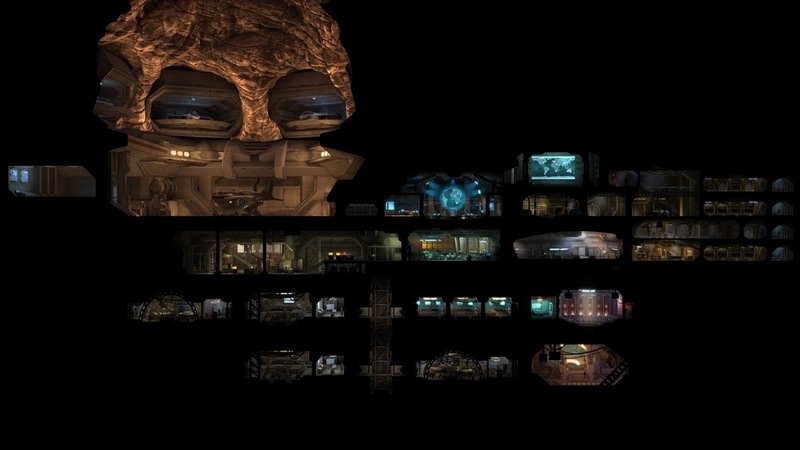 The picture above is the XCOM headquarters, also know as the Ant Farm. It contains your Engineering and Research divisions, as well as a barracks for your troops, the Situation Room that tracks worldwide panic levels, a hangar to house satellite-protecting Interceptors, and Mission Control from which you launch attacks on enemy incursions. You can expand your "Ant Farm" by building new facilities such as Power Plants, Thermo Generators, Foundries, and Satellite Uplinks. You must have satellite uplinks to control and monitor the various satellites you've put into orbit. The foundry allows you to develop upgrades for your existing weapons, armor, and vehicles. Power plants and thermo generators merely improve the speed and skill with which you create new items and facilities. The depth and detail involved in simply learning all the aspects of this game was astounding. It made the upgrade system in other RPGs like Skyrim look simplistic in comparison. I'm some 15+ hours in and I still feel I've only scratched the surface. While I have a general understanding of the game at this point, I still feel there's a lot more to discover before I've finished it all. Before leaving on any combat missions, you must outfit your squad. You begin the game with four members, but can expand it to six as you gain experience and cash by completing early missions. The soldiers come in several types including Assault, Support, Heavy, and Sniper. Each one has upgradable skills that are added to their arsenal of moves as they are promoted up the chain of command. Snipers gain a headshot. Heavies can fire a rocket launcher. Assault troops gain the ability to fire after moving or get off two shots per turn instead of the normal one. Support can use multiple medpacks to heal other squad members during battle. The combat in XCOM is turn-based, which is unusual in Western games, in my experience. I've played several turn-based games this generation including Lost Odyssey, Star Ocean, and Tales of Vesparia, but they were all Japanese. This is the first American game of its type that I've experienced. XCOM was made by Firaxis, the company headed by Sid Meier, the famous creator of the Civilization series. For the uninitiated, turn-based combat is kind of like playing a board game or Dungeons & Dragons. Each character, including the enemies, gets one turn to make a move. After that, the game moves on to the next character and allows them to make a single move. While some Call of Duty fans might find this style of combat slow and tedious, it adds considerably to the strategic aspect of the gaming mechanic. You must use competent squad-based tactics if you want to keep all of your soldiers alive throughout the mission. The quickest way to kill off a character is to send them charging off by themselves, Rambo-style. I learned the hard way that lone soldiers are quickly ganged up on and wiped out by groups of enemies beyond their ability to withstand. Although this is considerably different than any of my recent gaming experiences, I've been enjoying it immensely. I wish I'd had time to finish the game this week, but it requires 30+ hours of gameplay to complete and I simply didn't have the time to finish it in five days. That said, if I had to rate this game today I would give it an 8 or a 9. 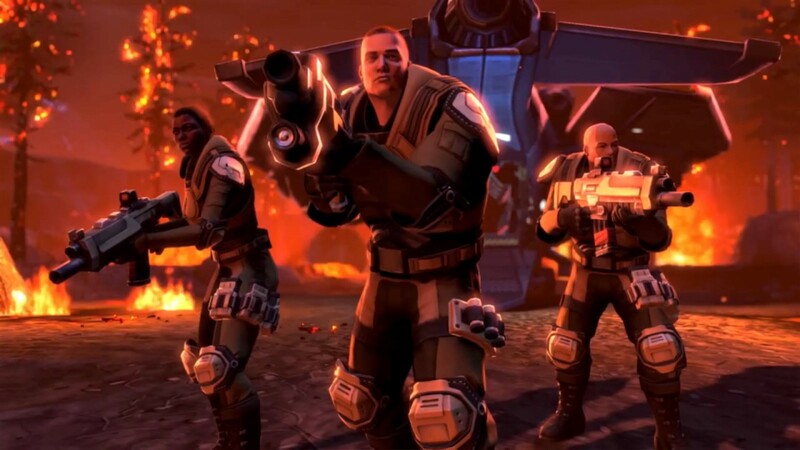 Although the game has tons of moving parts and keeping track of them all seems daunting at first, once you've grasped the various responsibilities you have as the leader of XCOM, the smoothness with which they work in tandem is nothing short of amazing. If, like me, you're looking for a quality game during this down-time in big name releases, give XCOM a look. It isn't for everybody. If you're a fan of the Call of Duty series or other shooters like Halo, this one may not be for you as the action isn't as fast-paced or intense as those blockbusters. On the other hand, if you enjoy a game with depth that requires thought and planning in order to succeed, XCOM is right up your alley. It is very similar to Sid Meier's Civilization series, but set in a completely different universe. If you are a fan of his previous games, I believe you will enjoy this title just as much if not more. Good luck and happy gaming!